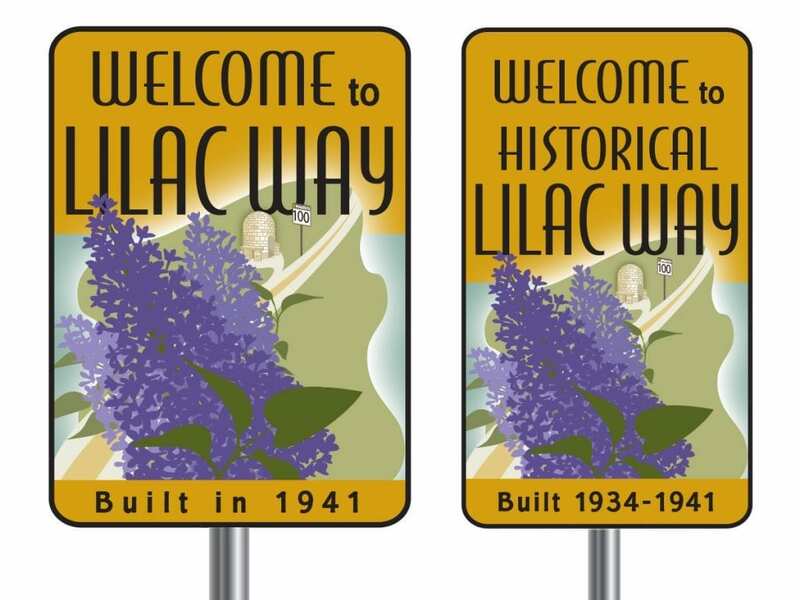 Lilac Way deserves commemorative signage. 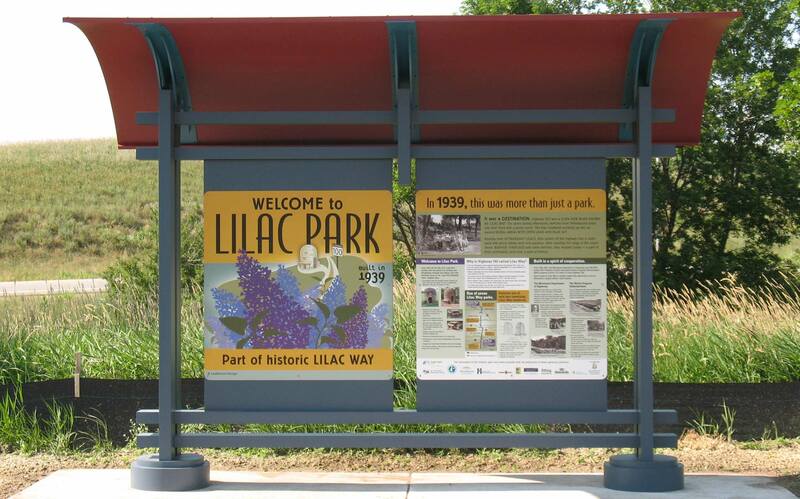 Karen at Laukkonen Design has already designed signage for the restored Lilac Park in St. Louis Park, MN. Let’s continue that design along the 12.5 miles of Lilac Way—all the way up to Graeser Park in Robbinsdale. 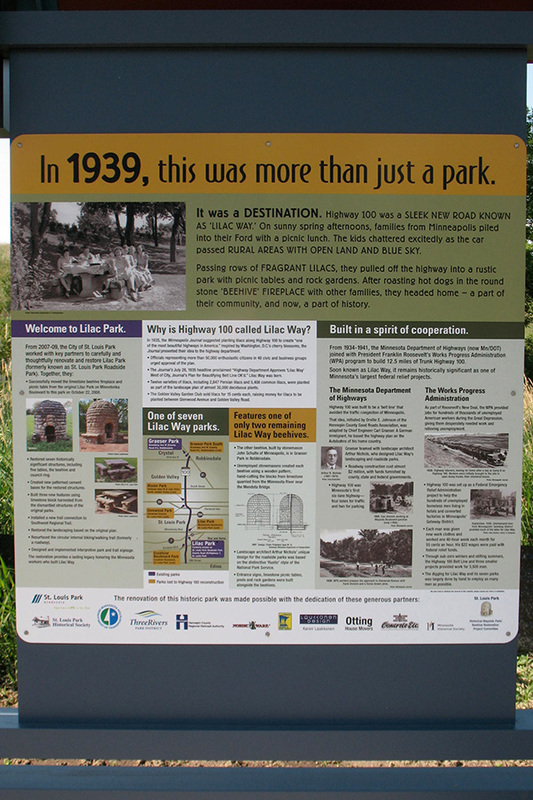 Informational signage at Lilac Park tells the story of Lilac Way. Proposed signage for Graeser Park in Robbinsdale, MN. Created by Laukkonen Design. Information and wayfinding signage should be part of Graeser Park’s restoration. 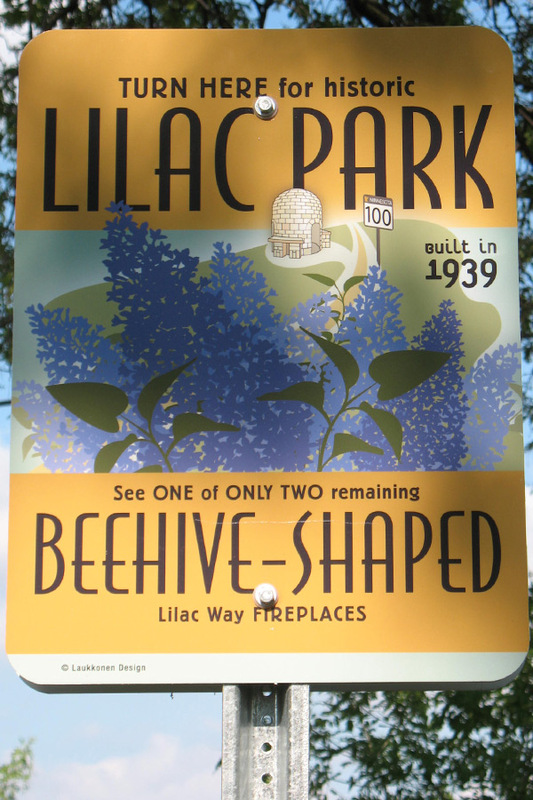 Designed to continue the branding established in signage at restored Lilac Park, custom Graeser Park signage could be created after restoration. 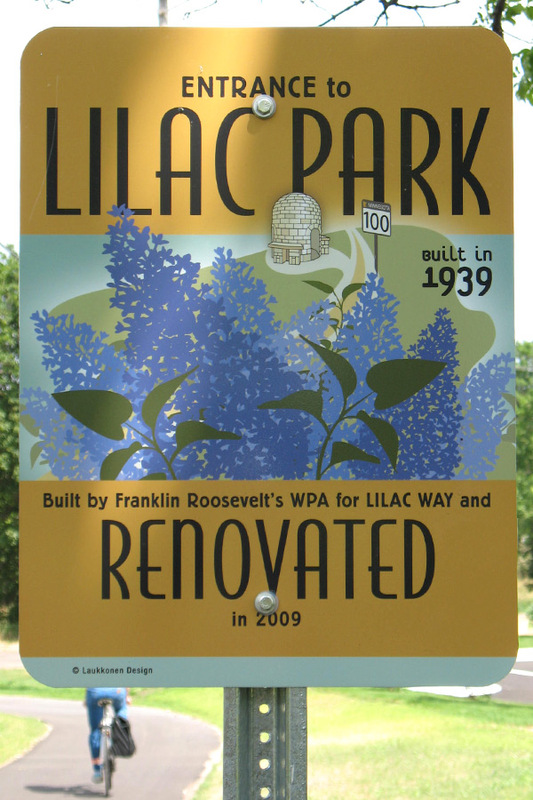 Then, let’s honor MnDOT’s historical efforts, and install signage along Lilac Way. It’s just 12.5 miles of Highway 100 between Highway 52 (now 81) in Robbinsdale, and Highway 5 (78th Street) in Edina. 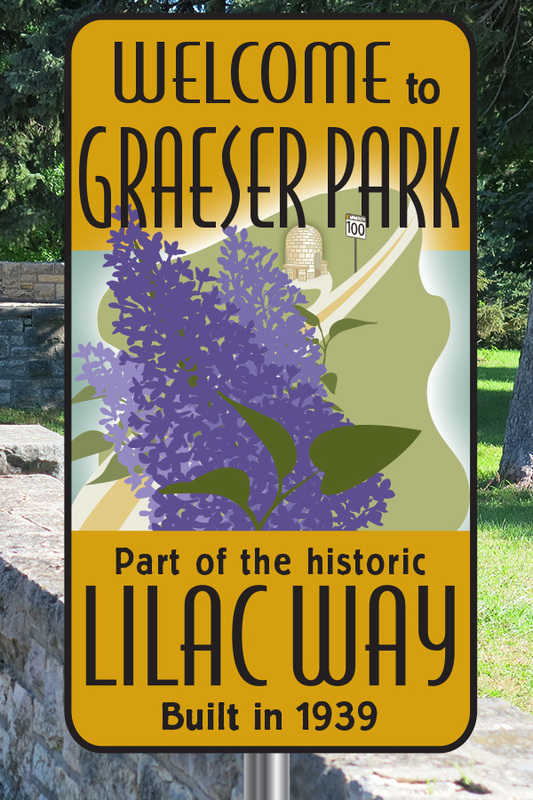 Creating a continuous Lilac Way brand from Graeser Park to Lilac Park would be a lovely tribute to history. Proposed signage along Highway 100, from Lilac Park in St. Louis Park to Graeser Park in Robbinsdale, MN. Created by Laukkonen Design.